Correctly chosen equipment, as well as methods of encouragement and motivation is 90% of a successful result in training your dog. 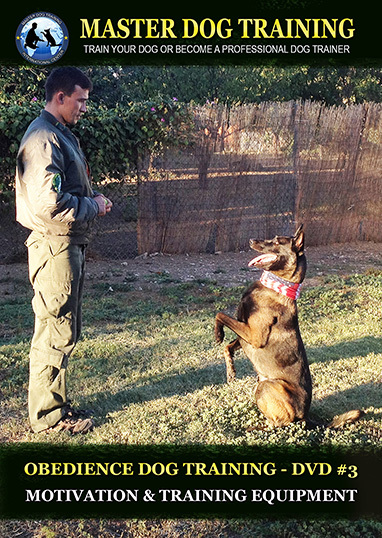 Equipment is simply necessary for quick and effective dog training. With leashes of various lengths, various types of collars and training toys to be fetched, you can quickly and clearly explain to your dog the meaning of various commands and which action it needs to perform. This quickens the training process, and also increases its effectiveness by 10 times. 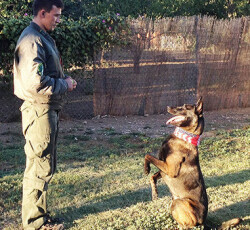 Motivation and equipment are important elements of dog training. Just like a child uses books, pencils and notebooks in school, the correct use of equipment in dog training leads to a quick result and brings pleasure in the dog training process for both the owner and his dog. Instructional DVD presented by Maxim Basyro who received his Dog Training education during his service with the Russian military. He trained specialists and their dogs for different tasks such as airport and railway service, port and road control checkpoints, as well as bomb and drug detection and human tracking. He has been teaching theory and practice of dog training for the past 15 years. He directed and supervised the adaptation and upgrowth of the stationary dog training program. His professional growth then continued with his service in the Military Dog Training Federation, which gives support in security areas for FSB, FSIN, MVD, Cental Customs and other armed forces. He first came to the USA with the experience exchange program, which enabled him to work with K-9 Police departments in New York, Miami, Pittsburgh and other cities. And now he’s ready to share his experience with you and teach you to properly understand your dog.